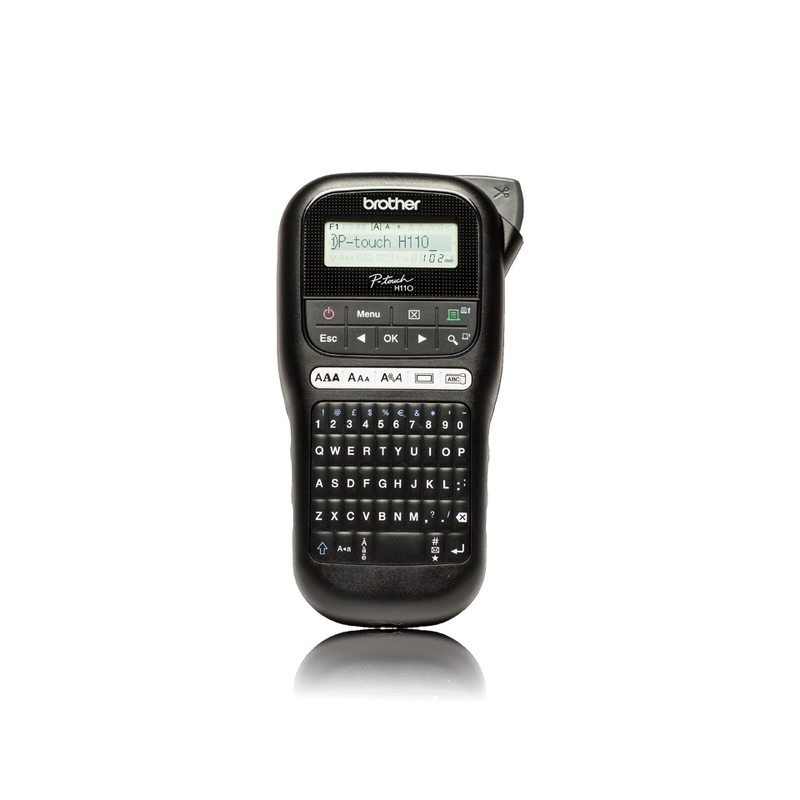 Portable P-touch label maker great for home home office and on-the-go use. Features a QWERTY keyboard convenient one-touch keys and an easy-view display to preview your labels before printing. Easily personalize your labels with 3 fonts 14 frames and over 250 symbols. Also organize your wires and cables with the useful cable labeling feature. Creates labels with 1 or 2 lines of text. Built-in memory stores up to 15 labels for fast reprinting. Uses durable laminated easy-peel "TZe" tape up to 12mm (~1/2") wide. Powered by 6 AAA batteries or optional AC adapter (each sold separately). Includes 12mm starter tape. The portable PT-H110 makes it easy to print great-looking labels anywhere. Comes with a variety of fonts frames and symbols to personalize your labels. Uses durable laminated Brother P-touch TZe tape. It�s easy to personalize your labels with the PT-H110. It has 3 fonts 5 patterns 14 frames and over 250 symbols. 3.5mm (0.13�) 6mm (0.23�) 9mm (0.35�) and 12mm (0.47�). Brother P-touch TZe tape is laminated making it durable indoors and outdoors. It�s smudge and fade resistant. It stands up to home business and industrial use.